Q. Do all inoculants reduce heating and spoilage? A. The simple answer is no. In fact, some heating is to be expected as a result of the fermentation processes that occur during ensiling. However, if too much oxygen remains, aerobic microorganisms grow, which can cause significant heating and dry matter (DM) and nutrients losses. Heating and spoilage can be reduced by using research-proven forage inoculants. Not all products have a demonstrated ability to reduce heating and spoilage. First off, it is important to use research-proven forage inoculants containing fast acting, efficient homolactic acid bacteria to drive the initial fermentation. This promotes a fast pH drop and reduces yeast growth, which is the major cause of silage heating when the silage will be exposed to air. The homofermentative lactic acid bacteria (LAB) Pediococcus pentosaceus 12455, provides an efficient, fast fermentation fueled by sugars generated by high activity enzymes. Inoculants that contain Lactobacillus buchneri 40788 at an effective dose, in addition to homolactic bacteria, can help control stability challenges at feedout. This saves DM and nutrients as well as maximizes profitability. Inoculants that contain only homolactic LAB — which are important to drive the pH drop during initial ensiling — can actually make aerobic (feedout) stability worse. Spoilage yeasts, the main drivers of heating and spoilage, can use lactic acid as a food source. High dose rate L. buchneri 40788 is the only active microbial reviewed by the FDA and allowed to claim efficacy in preventing the growth of yeasts and molds in silages and HMC when used at recommended rates. 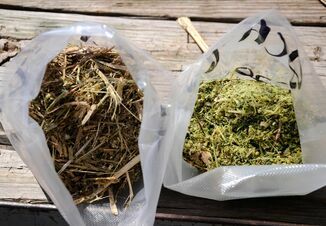 Hand-in-hand with good inoculant choices, be sure to evaluate your silage management to minimize heating and spoilage: Producers need to harvest the crop at the right stage and DM level, make sure chop length and processing are optimized, and fill the storage structure quickly and pack efficiently to drive air out. Then, seal the storage structure as soon as possible after filling. All exposed surfaces need to be covered and sealed completely and effectively. Finally, be sure to correctly manage silage feedout when the silage is exposed to oxygen. Be sure to use good face management and maintain feedout rates as high as necessary to prevent heating. For more information on how to produce high-quality silage, download the Silage Quick Facts Handbook. 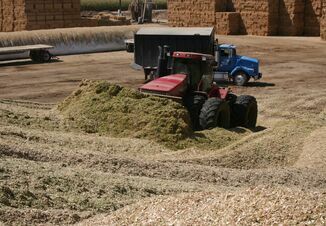 The guide gives producers a comprehensive overview of best practices for harvesting forage, selecting an inoculant, packing, covering and sealing and silage feedout. The Silage Quick Facts Handbook is free to download and available in both English and Spanish. 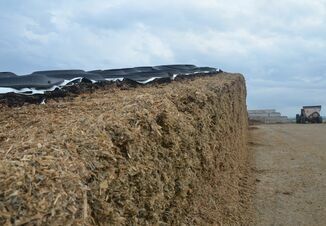 I hope this information helps you successfully address your silage heating and spoilage challenges.